Inimey Ippadithan has dropped down several places but does just enough to stay in the reckoning. De-fragmenting the process of movie reviews. Anushka to do it after Kamal, Vikram and the likes! Arya makes us all proud ! Inimey Ippadithaan aka Innimey Ippadithaan is a Tamil movie with production by Santhanam, direction by Muruganand, cinematography by Gopi Jagadeeshwaran, editing by Ruben. 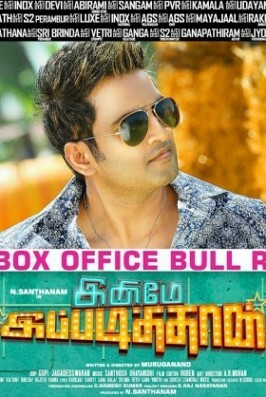 The cast of Inimey Ippadithaan aka Innimey Ippadithaan includes Akhila Kishore, Ashna Zaveri, Santhanam.